The accommodation at the Mt Ommaney Hotel Apartments is based on the philosophy of dedicated customer service and attention to detail, which is why this affordable hotel has been able to establish a reputation among international travellers for being totally committed to providing service with that special touch. The Mt Ommaney Hotel Brisbane provides comfort & location for the corporate or leisure traveller with that special home and from home feeling. If you are a traveller who is seeking discount hotel accommodation in Brisbane then the Mt Ommaney Hotel Apartments is the ideal place for you. This budget hotel features a variety of rooms that are designed for both business and leisure travellers as well as great amenities like lounge bar, business centre, conference centre, direct internet access, disabled facilities, faxing facilities, free car parking, guest laundry, restaurant, room service, spa, outdoor swimming pool, tennis court, tour desk, bbq area, garden, 24 hour reception, baby cots available for families and daily housekeeping. 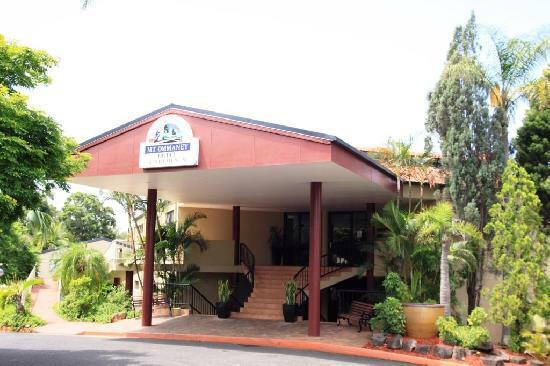 The Mt Ommaney Hotel is positioned in the Western Suburbs of Brisbane, just 15 minutes drive from the CBD and close to the business districts of Wacol, Ipswich, Darra, Carole Park, Richlands, Oxley and Rocklea. 1 Bedroom Apartment : Sleeps up to 4 guests on 1 Queen Bed & 1 Single Bed & Single Sofa Bed. Queen Motel Room : Sleeps up to 2 guests on 1 Queen Bed.